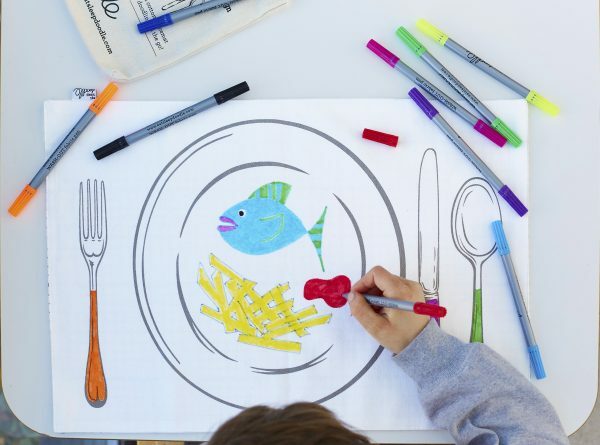 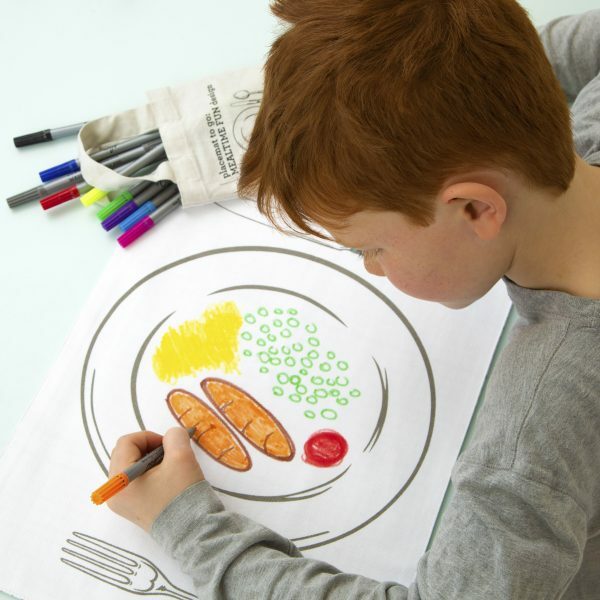 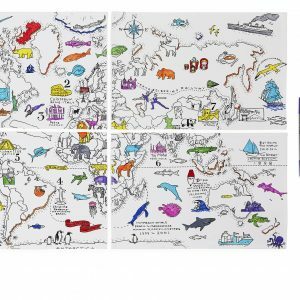 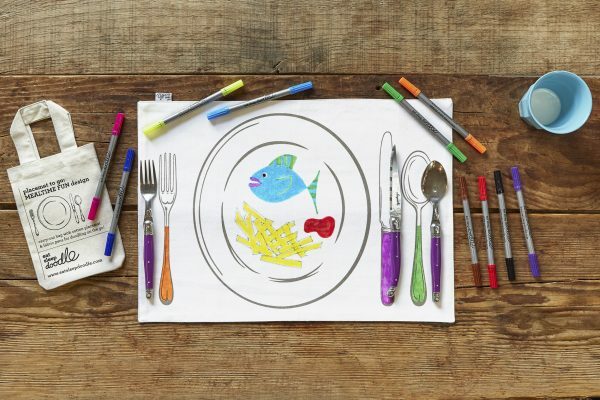 Keep the kids entertained at mealtimes with this cool colour in placemat featuring a plate setting design. 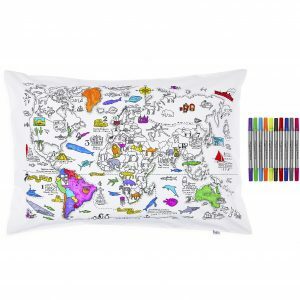 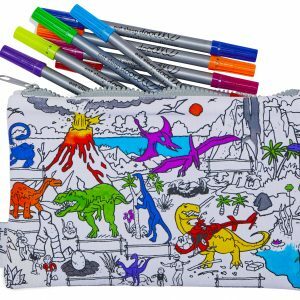 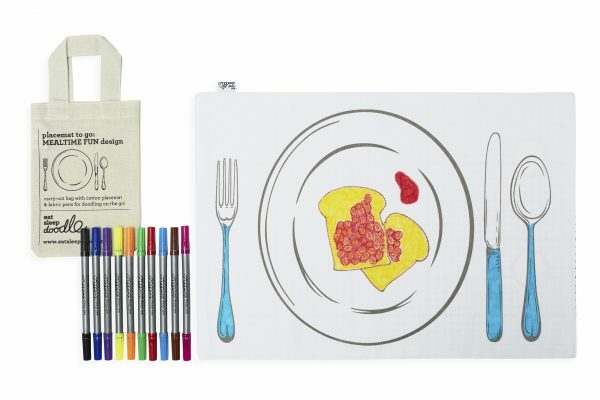 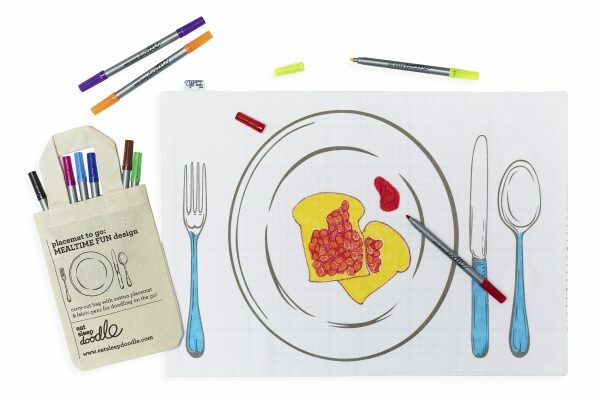 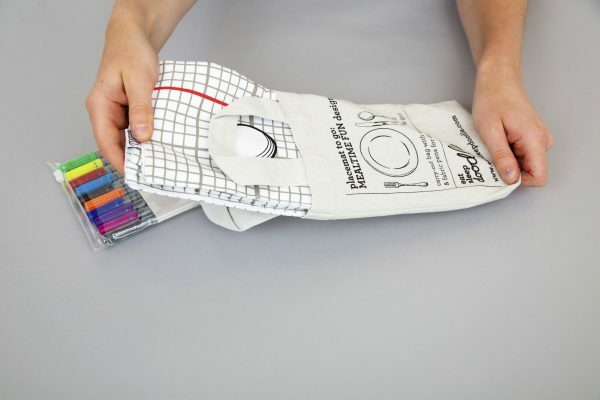 Comes in its own mini cotton tote bag and with a set of ten wash-out pens for the kids to draw and colour their placemat at the table. 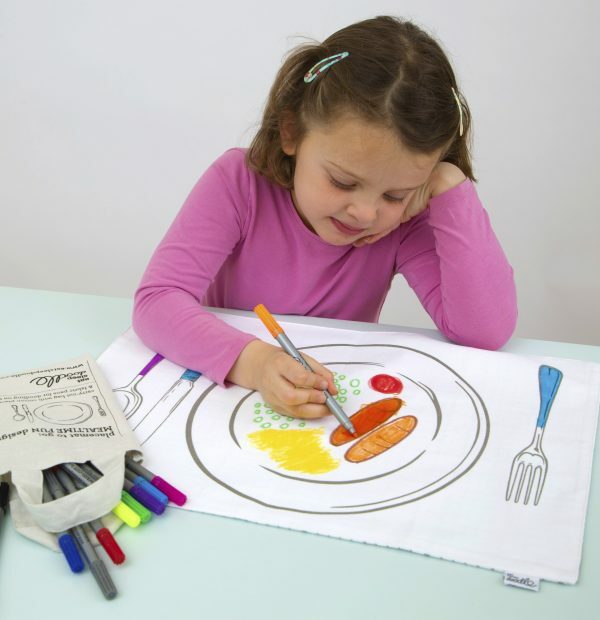 Whenever they’re ready, just wash the placemat in the machine, the ink completely disappears, and it’s ready for the next time! 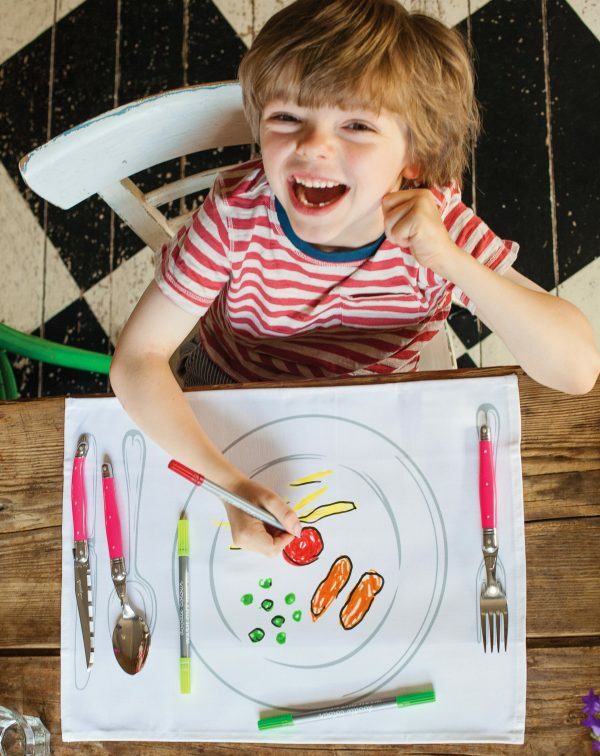 It’s a great tool for getting kids to try new foods and learn about what they’re eating, also ideal for taking on meals or day trips out!